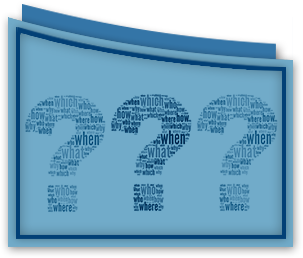 Let us answer some of your questions about water quality and treatment options. If you have other questions, please feel free to contact us—we’re happy to help! What is the nature of water? What is the quality of water from a municipally owned treatment facility? What are the established drinking water standards? What are some common water problems, and what is the best way to treat them? Water has the ability to dissolve some portion of nearly everything with which it comes in contact. In fact, water is referred to as the "universal solvent." Unfortunately, the substances that water dissolves are not all good for us; they damage our plumbing systems and personal possessions. Most water on the surface of the earth evaporates back into the atmosphere, where it condenses and falls back to the earth as precipitation. However, about 30% of the precipitation does not evaporate; instead it seeps into the ground or runs off into streams, rivers, or lakes. During this process, the water dissolves minerals and other substances contained in the ground. The water then collects in porous pockets called "aquifers," which are the source of well water. Because of this cycle, water as found in nature will always have some substances dissolved with particles suspended in it, potentially creating a suitable home to disease-causing organisms. To achieve "pure water," or to be even close, water must be filtered or treated in some way. It depends on the age and condition of the equipment used by the treatment facility. Even though the water may be classified as safe to drink, the aesthetic quality may be less than desirable. The Environmental Protection Agency (EPA) regulates US drinking water supplies through the Safe Drinking Water Act (SDWA) passed in 1974. The EPA established standards for both health related (primary) and aesthetic (secondary) contaminants found in public water supplies. These standards are expressed in terms of maximum contaminant levels (MCLs) usually in units of Mg/L. Hardness: The term hardness refers to the quantity of dissolved calcium and magnesium in water. These minerals, which come primarily from limestone-type rock formations, are found to some degree in almost all natural waters. Calcium and magnesium cause problems for two principal reasons: First, warm water causes the calcium and magnesium to precipitate a solution that forms a hard, rock-like scale. This scale accelerates corrosion, restricts flow, and reduces heat transfer in water heaters and boilers. Second, when these scales combine with soap, they react to form a curd, which interferes with cleaning, dries out skin, and leaves deposits on plumbing and clothes (bathtub ring, ring around the collar). Acidity (pH): Water containing excess acidity tends to act aggressively towards plumbing and fixtures, causing corrosion and staining (e.g. blue-green stains on fixtures from copper pipes). The acceptable pH range for water is 6.5–8.5. Acidity cannot be removed from water; it can be neutralized by raising the pH with alkalinity. This is done by injecting a highly basic (alkaline) solution with a feed pump or by passing the water through a bed of processed lime stone or similar mineral. Iron (Fe): The presence of iron is a very common water quality problem, particularly in water from deep wells. Water containing even a significant quantity of iron may appear clear when drawn but will rapidly turn red upon exposure to air. The ferric iron then causes red/brown staining on clothes, fixtures, etc. Removal is through ion exchange (water softening) or oxidation/filtration (APIR). Manganese (Mn): Manganese is a metal similar to iron which causes a gray /black stain. It is removed in a manner similar to iron. Hydrogen Sulfide (H2S): Hydrogen sulfide is a gas that smells strongly like rotten eggs. It is the result of the decay of organic matter with organic sulfur and the presence of certain types of bacteria. It can be offensive in very low concentrations as well as highly corrosive. H2S can be removed by oxidation/filtration, aeration, or well sanitization. Turbidity: Turbidity is a measure of suspended particles in water and can range from large to extremely fine sediment. Treatment depends on the size of the particles. Organic Chemical Contaminants: Detection can be difficult, as these often have no taste or odor. Treatment depends on the type of contaminant and the concentration of it. The source of contaminants may include industrial solvents, agricultural pesticides, and herbicides. Total Dissolved Solids (TDS): This refers to the sum of mineral salts in the water. If the number is too high, it can result in objectionable taste, cloudy ice, interference with the flavor of foods and beverages, and scale left behind in cookware. 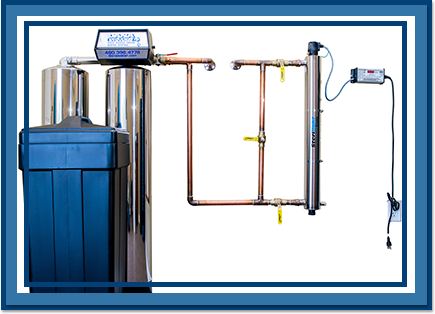 The reverse osmosis (RO) process is the most practical and cost effective method of correcting problems caused by high TDS. Nitrates: Nitrates are inorganic chemicals dissolved in some water supplies as a result of feedlot and agricultural activities. 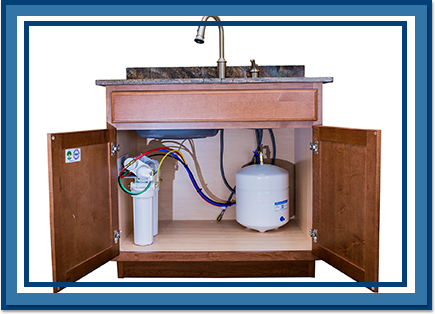 Reverse osmosis is a proven, effective method of reducing nitrates to safe levels. Heavy Metals (lead, cadmium, mercury, arsenic, selenium, chromium): These heavy metals find their way into the water supply from natural and clean industrial sources as well as home plumbing. Heavy metals, especially lead, can seriously affect the mental and neurological development of infants and children. Reverse osmosis (RO) is recognized as the most practical method of reducing lead to insignificant levels in drinking water. Radium: Radium occurs in ground water due to the radioactive decay of uranium in geologic formation, posing a health risk if the radium levels are too high. 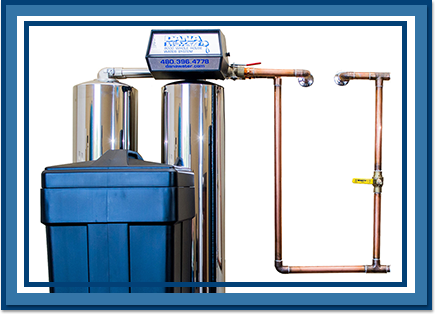 Cation-exchange water softeners using proper regeneration procedures are effective in reducing radium for “Point of Entry” (POE) applications. 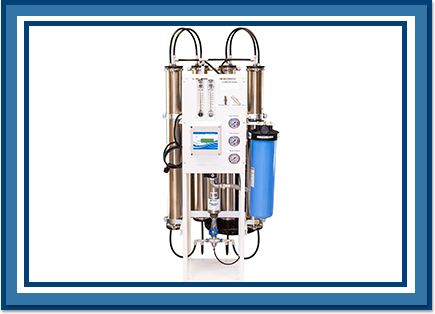 Reverse osmosis systems are effective for reducing radium for “Point of Use” (POU) applications.